The solid-state opto with all the meat and weight you could ever want out of a compressor! Based on the fabled LA-3A, the Chimera provides a smooth, full sound with a touch of high-end polish and is one of the best examples of a true workhorse compressor. Payments as low as $28/mo. Or, apply & pay as little as $28/mo. While not as popular with the clone-building community as the LA-2A, the solid-state opto LA3A offers a very similar simplistic design and smooth, natural sounding compression, but with a more transparent tonal palette that lends more flexibility. As an LA3A clone, the Serpent Chimera follows through with that standard but offers a bit more “meat” to the signal. In every source we heard the Chimera on, this added thickness and color was a welcomed addition that made a vocal “pop” with more focus and edge, a kick drum “thump” with more thunder, and a rhythmic acoustic guitar become more rounded and, well, interesting sounding. The Chimera provides just one degree of control up from the simple original LA-3A units, making it slightly more powerful yet still easy enough to use as a tracking compressor without spiraling into a never-ending gear dialing sessions. Comp/Limit switching gives you a more aggressive voicing while the high-frequency sidechain boost turns the unit into more of a de-esser, and not just for vocals (think aggressively bright overheads or even electric guitar amps). 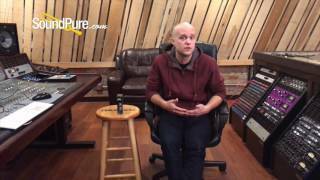 In this video, Sound Pure pro audio expert David Barrett describes the many benefits of the Serpent Audio Chimera 500-Series Opto Compressor. 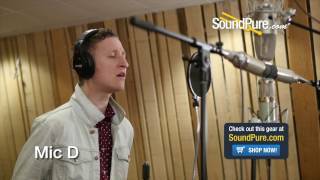 In this video we present a 251 style vocal microphone shootout using the Telefunken 251E, the Bock 251, the Upton 251, and the Neumann M149. Can you tell which one's which? If you are interested in hearing the results and/or getting ahold of the audio files from this shootout, give us a shout, we'd love to hear from you! Serpent Audio represents the best practices of the boutique pro audio world - hand-build and hand-picked classic designs with innovative new features designed to make our lives as engineers easier, more creative, and more enjoyable.